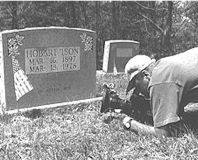 In 1967 Canadian filmmaker Hugh O'Connor visited the mountains of Central Appalachia to document poverty. A local landlord, who resented the presence of filmmakers on his property, shot and killed O'Connor, in part because of his anger over the media images of Appalachia that had become icons in the nation's War on Poverty. Filmmaker Elizabeth Barret, a native of Appalachia, uses O'Connor's death as a lens to explore the complex relationship between those who make films to promote social change and the people whose lives are represented in such media productions. 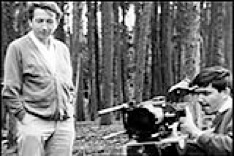 As director in the editing phase of Stranger with a Camera, Lucy recognized that the structure, pacing, poetry and even politics were determined in the editing room.